Kit contains laser cut frames and false keel. Double planked in beech and walnut. Most fittings are cast white metal, blocks, dead-eyes and belaying pins are walnut. It was a French sloop with 24 canons L’Unite”. 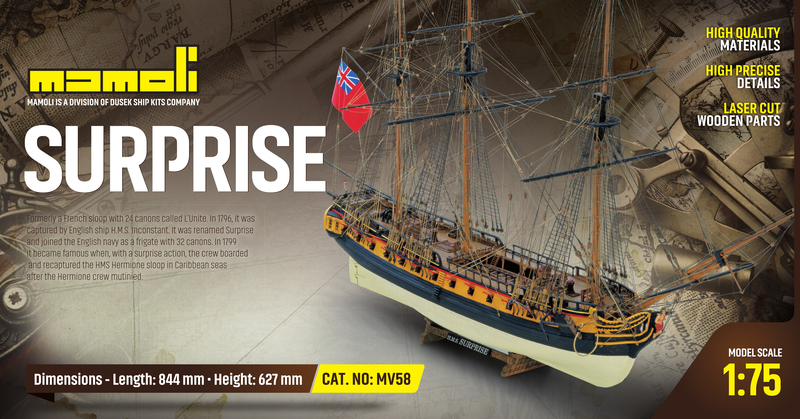 In 1796 it was captured by the English ship “H.M.S. Inconstant”. 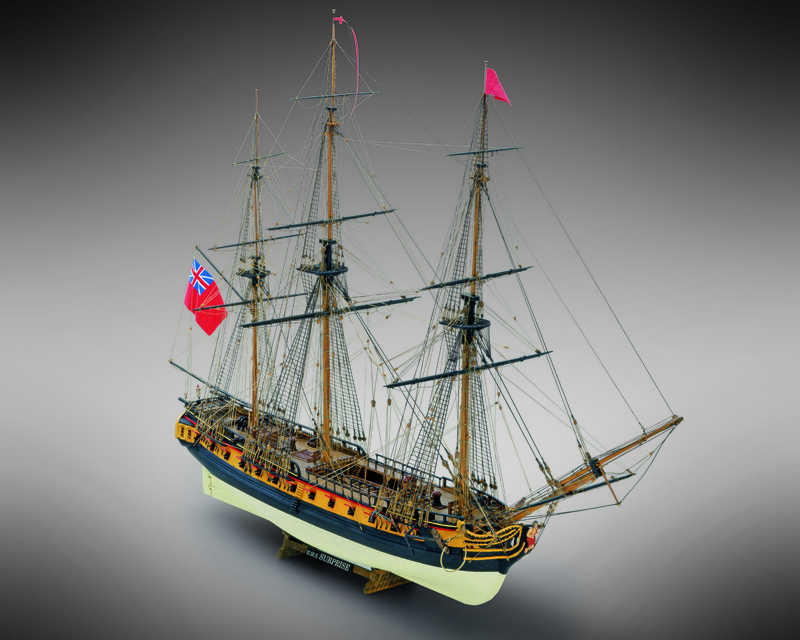 It's name was changed and it joined the British navy as a frigate with 32 canons. In 1799 it became famous when, with a surprise action, it boarded and it captured the HMS Hermione sloop in English seas. Mamoli model is in scale 1:75 with a length of 84 cm. 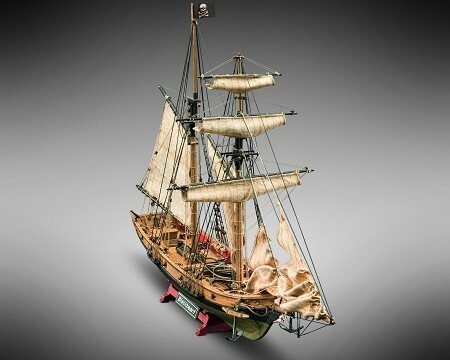 (includes bowsprit). It has 26 cannons at below deck, 6 canons and 2 carronades on the deck and on the quarterdeck. Mamoli MV53 CSS Alabama - Plank on Bulkhead Ship Model Kit - Scale 1/120 - Length 28", Height 14"